The first task of the game is to gouge ‘f57’ with a razor over your wrist. Innocuous enough one may say, a teenage whim to appear hip. Task upon task as you progress in the game gets you to applaud from players for each act of folly. This goes on happily enough with each subsequent task taking a steep violent curve from seemingly absurd initial challenges of watching a horror movie and waking up at unusual hours to extreme self-harm until you take a bow at level 50th and end the game with a flourish by jumping off a high-rise building. What might seem like a crazy game to many people, took the lives of 150 teenagers in Russia. Although 22-year old Philipp Budeiki, founder of the Blue Whale game was indicted, the twisted suicide challenge goaded many vulnerable teens into killing themselves. Dr. Hamad Saif Al Shamsi, UAE Attorney-General, has ordered to block several online games, including Roblox, My Friend Cayla, Blue Whale, Cloudpets, and Mariam. Why the Ban on Online Games? The adverse impact of these games on the behavior of adolescents and their infiltration into their personal and family lives coax them into adopting forms of conduct that threaten the society. An online game called Roblox is a multi-player game where players can build their own games. Users can delve into role-playing, embark on adventures and play user-generated games. Each user has their own avatar and can purchase accessories with Rubox, Roblox’s own currency name. Players can also chat with other players from around the world. 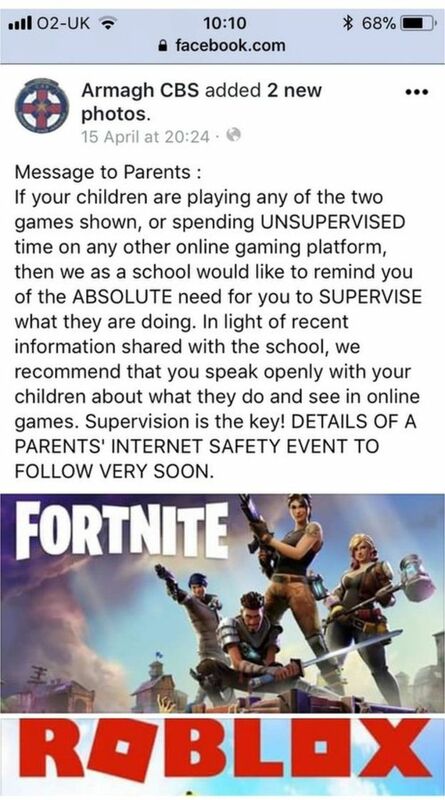 An Armagh primary school has warned parents not to let their children play two popular online games, namely Fortnite and Roblox unsupervised. The reason behind banning Fortnite is that it includes a chat feature which allows users to talk to strangers without any surveillance. The users can even voice chat and talk in whatever language they choose, including conversations peppered with profanities. Roblox is banned because of the inappropriate costumes used in the game. Parental involvement is critical for these online games to maintain a fun & safe experience. 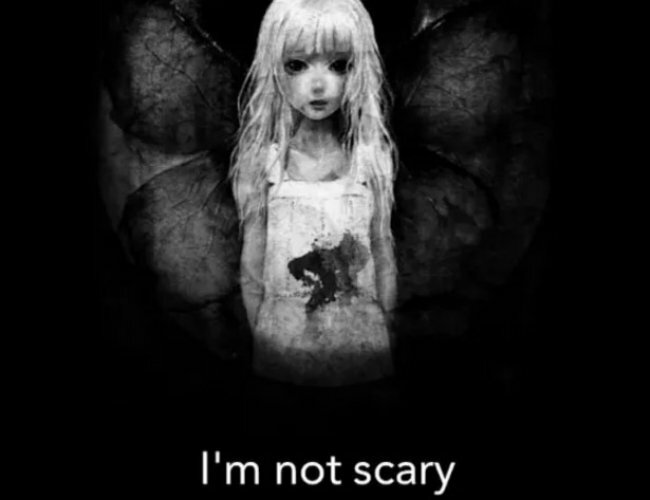 Another horror game, ‘Mariam’, from a Saudi developer is sending shivers down the spines of players who are playing it and is also a source of concern for higher authorities in UAE and social media experts in the online game communities. In an article by Gulf News, Dubai police sent a warning for phishing, theft, or extortion to the people who are playing the game. In addition to its alarming audio and visual effects, the game, which created a hype the past few weeks, relies heavily on collecting personal information of players for that extra dose of shock and awe. The game revolves around a lost child, Mariam, who is lost and needs a guide to get back home. In the game, players are asked various questions like, ‘Where do you live?’ and ‘What is your Facebook account id?’ as a pretext to help them get ahead in their quest. The user cannot proceed in the game without answering a few questions. The players also need to answer political questions such as the Qatar crisis. Since the game gained popularity in the region, experts are warning against its risks, noting that the questions asked might be a way to hack into the player’s device. As you get more involved in the game, Mariam can access the personal information of players just by clicking the pictures in their galleries. The Telecommunication Regulatory Authority (TRA) has been appointed to take all necessary measures to restrict these online games in collaboration with telecommunication firms and internet service providers in the country. One parent, Sarah Taizoon, went so far as to say that parents and teachers need to proactively monitor the behavioral changes of children, which is becoming inevitable across institutions. The Federal Bureau of Investigation has also been assigned to continue investigating the content of online games and apps suspected of having a similar impact on young people and is bound to report its findings to the Public Attorney.